Virginia International Raceway VIR LINK is a great racetrack in an out of the way location, smack dab in the center of Virginia just about on the North Carolina border. A couple of times per year they host charity events where everyday average Joe drivers (that sounds just like me!) can donate to a worthy charity like the Victory Junction folks (free summer camps for kids, a charity started by the Petty family) and drive their street car on the track for fun. No, it's not racing, there is no contact, no Million Dollar Prize for first place, but just good old drivin' fun for a good cause. If you enjoy driving, driving fast, and driving fast on a track and being safe in a non-competitive event, then this is about as good as it gets in your own car! 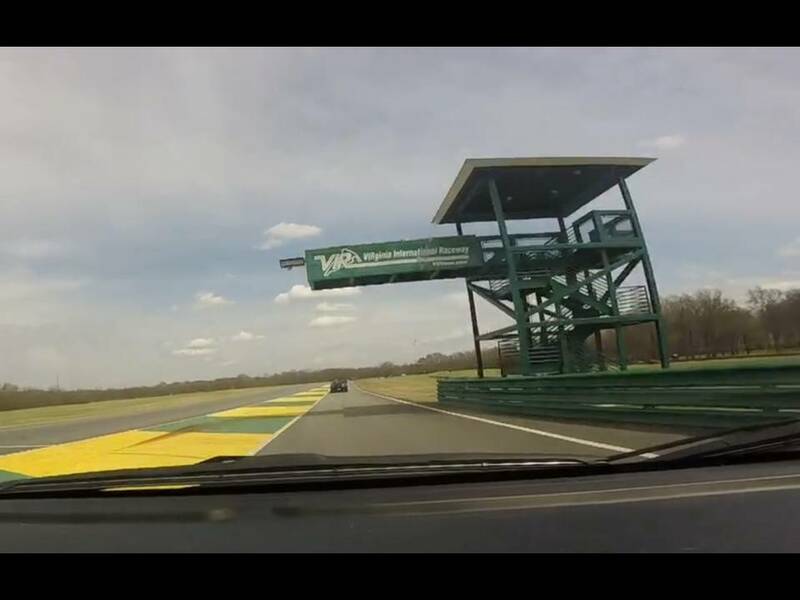 Enough talking, click on the video and take a lap around VIR in a FIAT 500 Abarth. You might notice that right in front of me are two BMW Z4s. Keeping in mind that we were not allowed to pass, I never caught up to them. Also worth noting, when new they cost twice as much as my car, but they did NOT go twice as fast or have twice as much fun!! On the right you can see the entry point to VIR, located out in the beautiful countryside of Virginia southeast of Danville. More photos from VIR available on our Flickr link on the right side of this page. Any car or motorcycle can join in the fun of charity laps, like this line up of Porsche, Minivan, Mustang, and Miata! Lamborghini Gallardo on track giving someone a ride-along for charity. It sounded and looked very fast, which of course it is! We enjoyed watching and listening to it, but then on either this lap or the very next one, it came to a stop out on the track! If you peek under the guardrail on the right, you can see the Lamborghini Gallardo getting towed off the track due to some issue! I guess even expensive super-cars can have bad hair days! The Petty folks had a couple of their cars for ride-alongs, and of course you couldn't be a great race team without a big car hauler like this one! Nice MGC-GT with a roll bar or cage on the inside! Ford Mustang GT 350 always popular! I think the building in the background is the trackside rooms you can rent that come with their own garages! Sounds like a nice way to spend the weekend whether you are driving or just watching the action on track from your own balcony on the other side! Other drivers on track, you can see the attraction of not only some low speed corners here, but a big elevation change at the same time! I was just trying to get a shot of the cars on this cool part of the track from far away, so don't ask me what's up with the folks hugging at the bottom. They must be just happy to be at VIR! While waiting for our group's turn on the track, I was walking around checking out all kinds of cars, and saw this opportunity to shoot the Red FIAT in between a blue and a yellow Mustang in the next row. I mean, can you believe how I parallel parked my little car into this tight parking spot in between two Mustangs????????? Other than a Ferrari that I spotted earlier, and one other new FIAT 500, I was thinking we didn't have enough cool Italians, and then all of sudden this nice Alfa Romeo pulled up! The exterior and interior all looked to be in great condition, and sure enough he was out on the track later having a great time! Look for a big announcement on June 24th later this year when Alfa is expected to formally reveal the name of their next vehicles to be sold in the US. Spotted this Lotus across the parking lot. It would be cool even without the giant wing on the back! There was at least one other Lotus at VIR in the afternoon. While they don't sell a ton of cars in the US, they have been advertising on NBC during the Formula 1 races this year, so that is a welcome relief from seeing "Jake from Allstate" and a bazillion other ads that air every other minute! 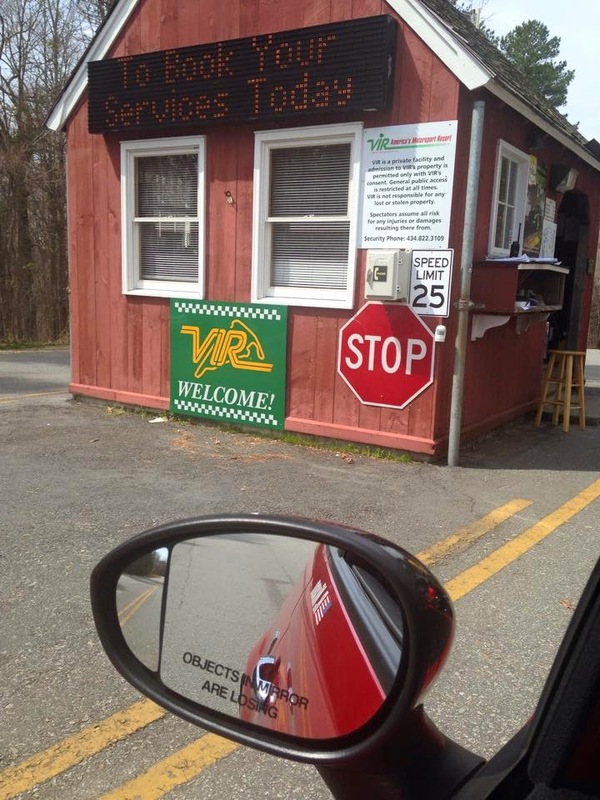 According to the VIR calendar, Friday November 6th will be the next day of charity laps, so make your plans now!